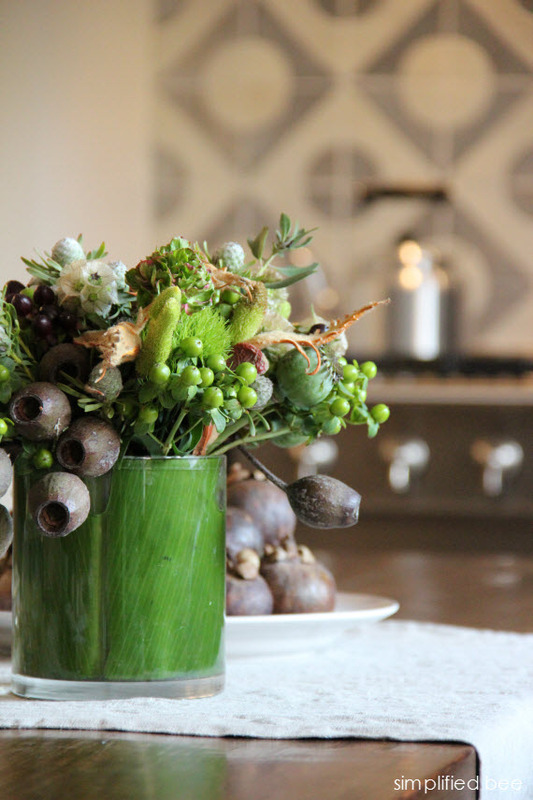 Today kitchens are the heart of every home. It’s where guests mingle, family meetings are held, and meals are prepared and enjoyed. For this reason, designers are getting back to the basics of functional kitchen design. 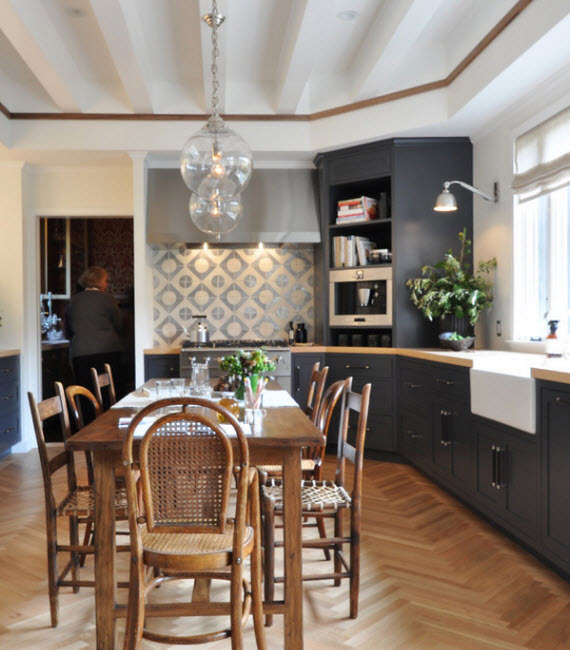 And although the kitchen was placed in the back corner of the 19th century built home that’s this year’s San Francisco Decorator Showcase, designer Alison Davin of Jute created an inviting space the whole family would love. 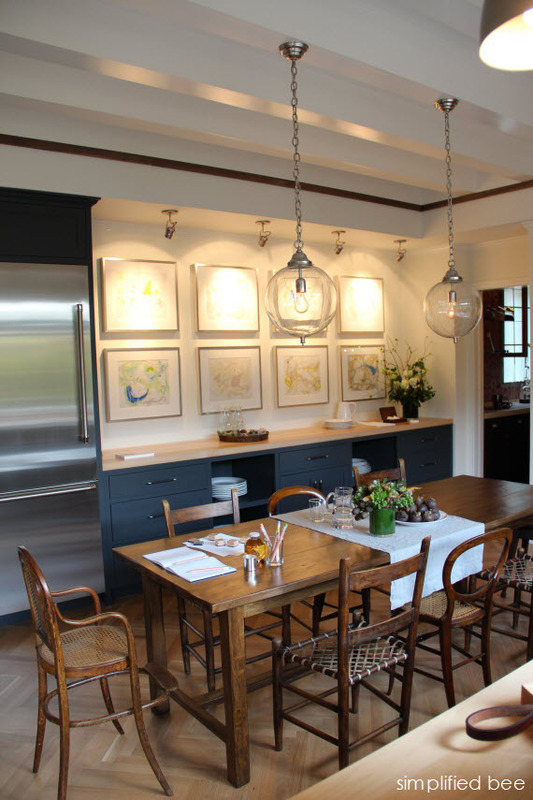 A long farm table anchors the space and serves multiple functions. It’ a place for meal prep, family dinner or homework. It’s also a wonderful mix of traditional with the contemporary cabinetry. The lovely gallery wall was a pleasant surprise in the kitchen. It made the space more personal. 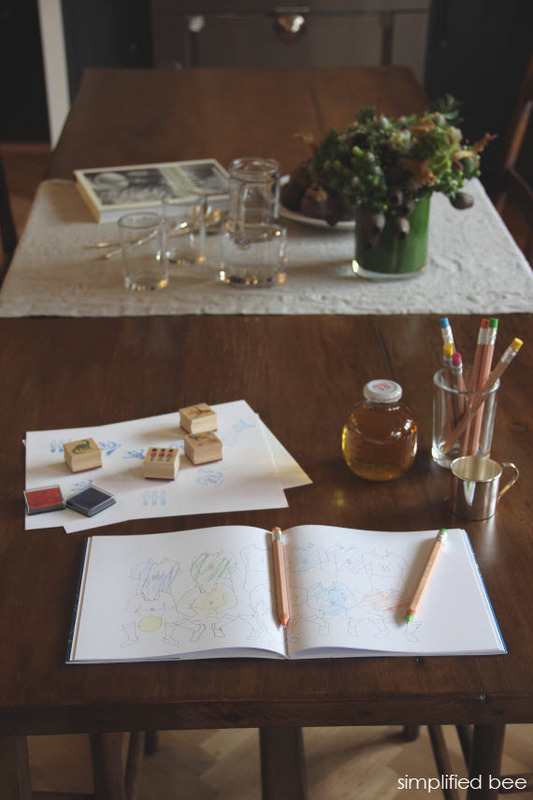 Although not the kids’ art, this would be a great place to showcase your children’s masterpieces. 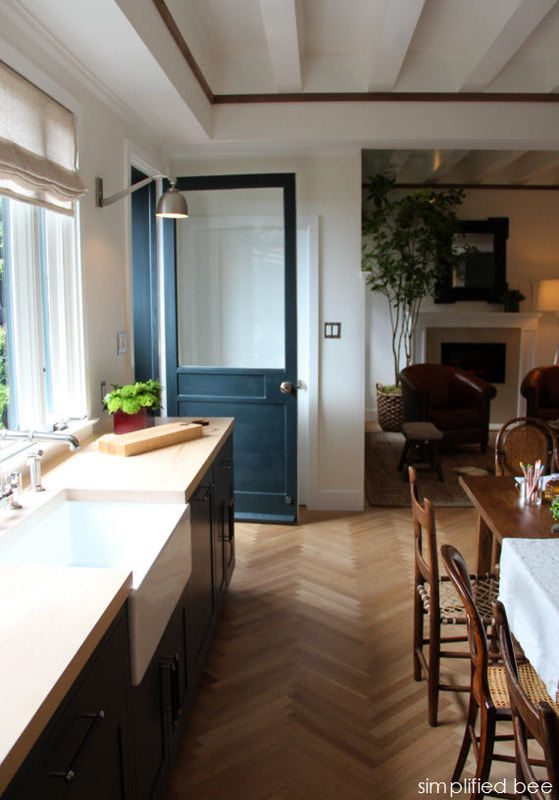 The cabinetry is painted in a dark navy. It has lots of gray to it though. The dark color is a beautiful contrast to the beech countertops. 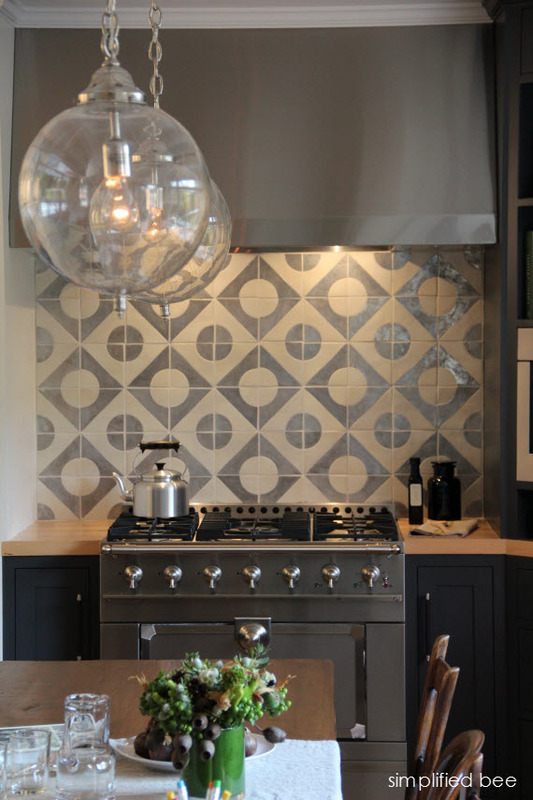 The geometric ivory and silver terra-cotta tile adds a modern element on the backsplash. Corner cabinetry can be tricky. 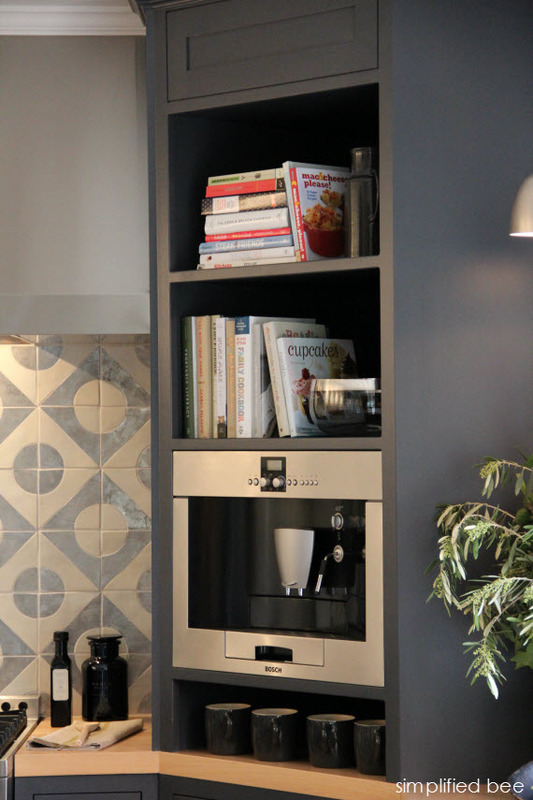 This design for an espresso maker, coffee mugs and cook books is brilliant! 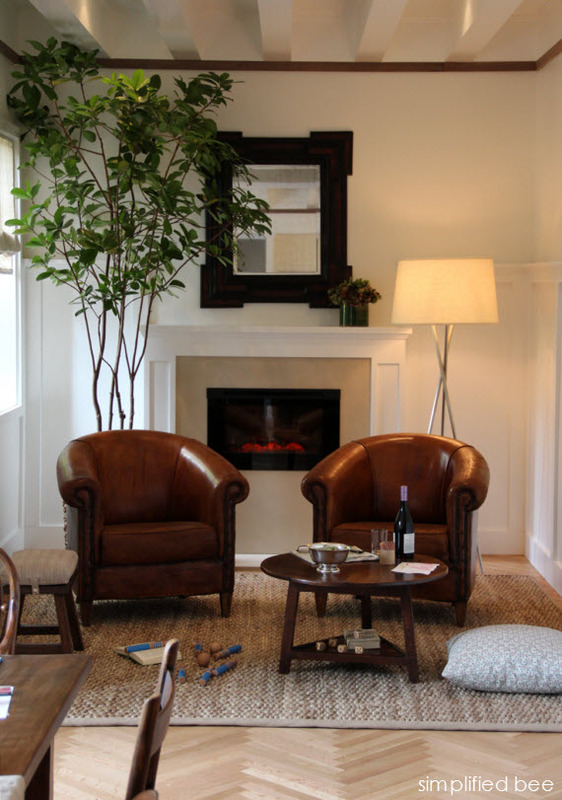 In a small alcove off the kitchen, Alison cleverly created a cozy fireplace seating area with kid-friendly leather club chairs. It’s a perfect place for kid’s to play or parents to have a glass of wine. The herringbone flooring is outstanding. Just outside the kitchen sits a charming garden courtyard. 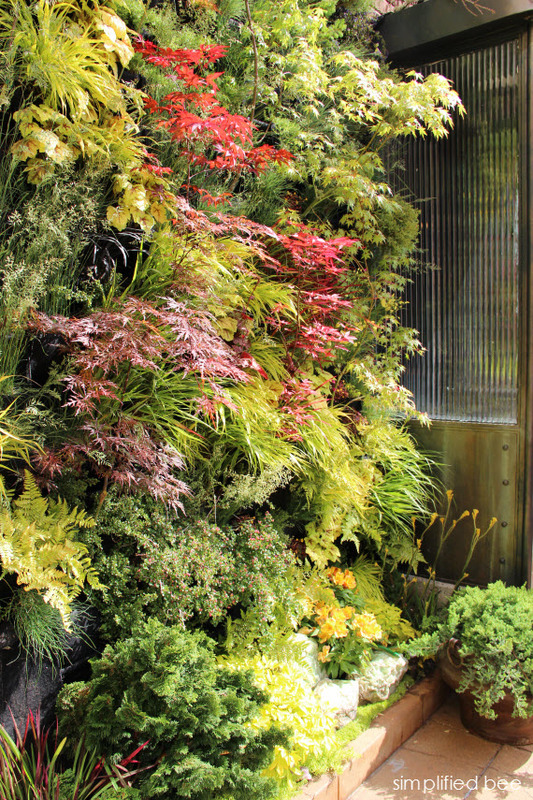 Designed by Davis Dalbok of Living Green Design, the garden features seven original Japanese paintings and a stunning living vertical wall of cascading maples, conifers and mosses. It’s a beautiful view from the kitchen’s window. Stay tuned! 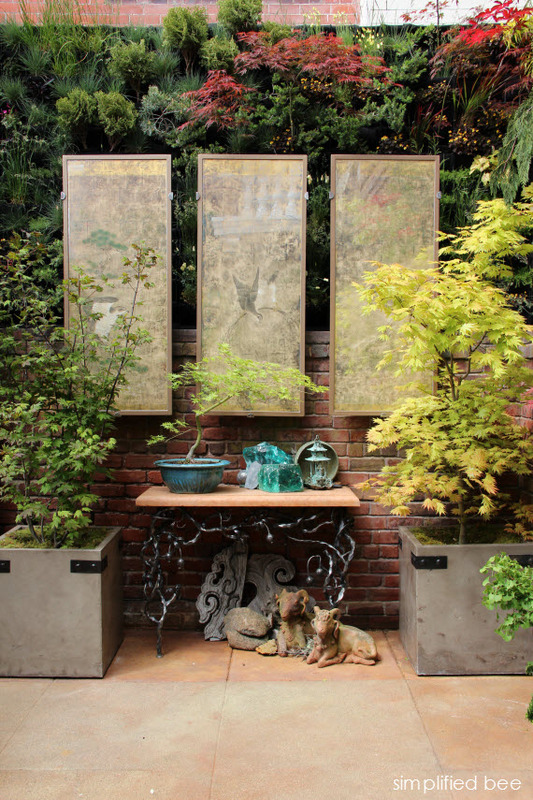 I have lots of more San Francisco Decorator Showcase and Peninsula Volunteers Decorator Show House rooms to show you! And in case you missed it, here’s the showcase Living Room, Dressing Room and Maker’s Mark Retreat. The backsplash is gorgeous. 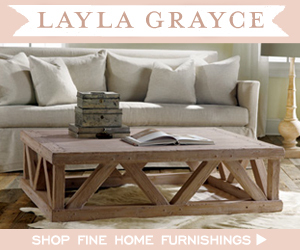 I do like the mix of modern and traditional, it says stylish but homey, very inviting. Beautiful kitchen! Love the idea of a fireplace. The corner cabinet and backsplash are my favorite elements. That wall of green is absolutely beautiful!! I also love that kitchen. What a beautiful tour.